So when I was in Boots the other day I thought I would pick up a new mascara. As my usual (Max Factor False Lash Effect) was not on offer I thought I would try something new and this Maybelline Colossal Mascara took my fancy. I also feel really uneasy buying something new, I know it's not too much money to spend but it still feels like a waste if it turns out to be awful. I think I have quite high standards with mascaras, I can't have them making dark marks under my eyes or flaking. All in all, this mascara isn't awful but also isn't amazing. 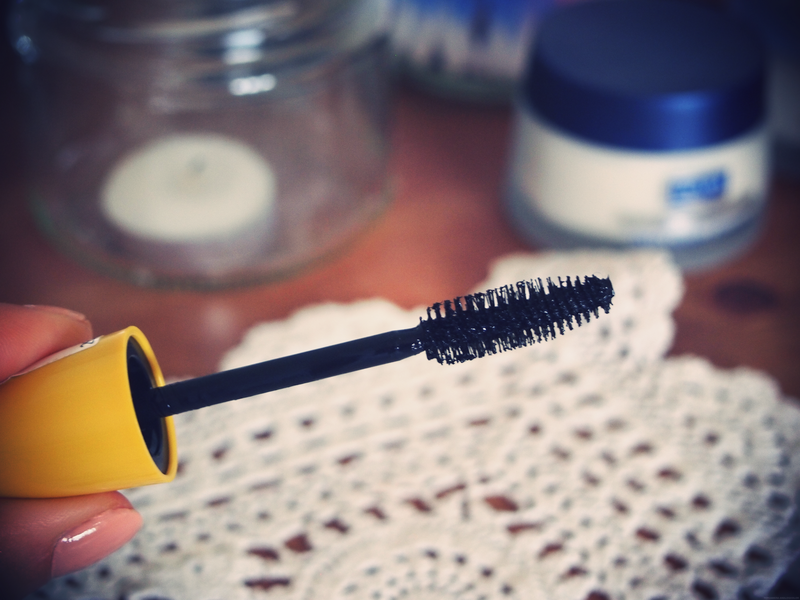 It feels strange using a proper brush for mascara rather than a plastic one that most have now. To be honest I think I prefer the plastic style ones, this brush just seemed too wire-y and rough. I picked this mascara up in the waterproof version, mainly because I'm scared of the dreaded smudging under my eyes. The formula is pretty good I must say, it definitely doesn't flake and lasts pretty well. The only thing I would say is that, as it is waterproof, it takes a big effort to remove - even with my really good Simple eye make-up remover. So a bit of a 'meh' review really. 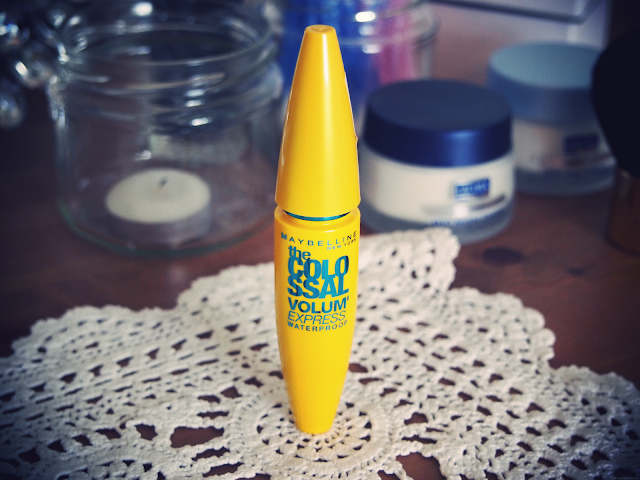 The look it gives my lashes is nothing special and I would say that my Max Factor favourite gives more volume and length. So probably won't be buying this product again however I'll be happy to use it for now. Any mascara recommendations from you guys? I always use the Clinique High Impact Mascara, I love using the plastic brush sometimes, it is like a massage for the skin underneath the eyelashes. But the one I use most doesn't have that kind of a wand just a regular one.